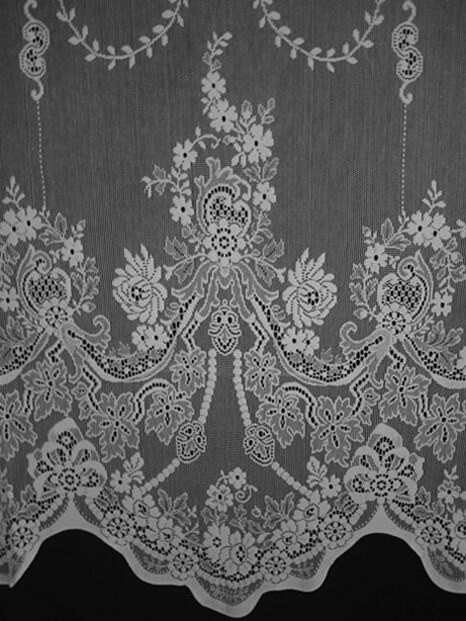 This design has a distinctive, deep, scalloped bottom edge. A floral border surrounds scrolls of foliage and flowers, with fine garlands on the net background. 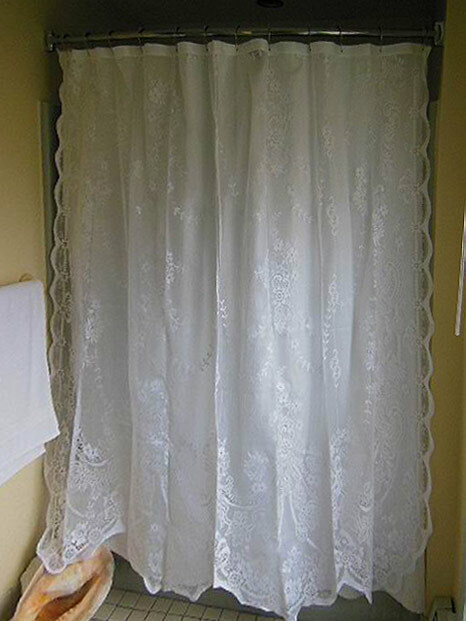 The shape is especially effective in the shorter lengths and valances. 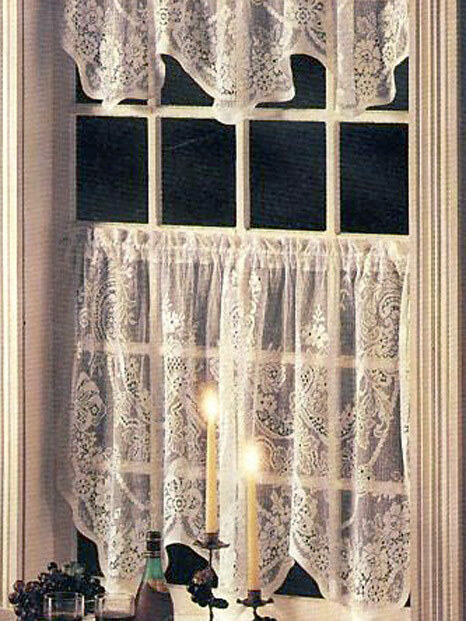 Made in medium-heavy 10-point lace, it transmits light through your window while maintaining your privacy.